The night before the Dark Explorers pre-release, I made a status update on Facebook saying that I would be happy if I were able to pull either a Darkrai EX or a Golden Catcher. 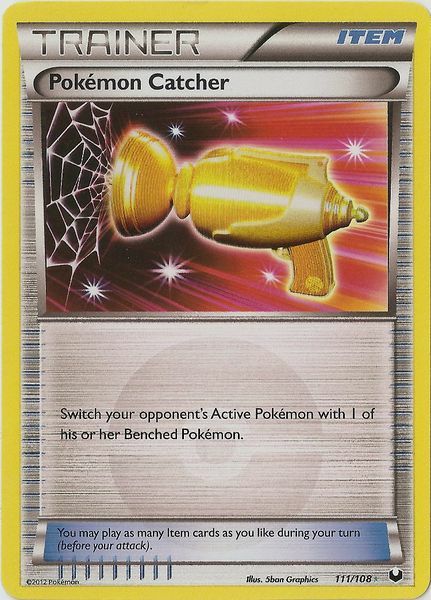 In my very first Dark Explorers pack that I opened, there laid before me the beautiful shine of the Golden Catcher. I was able to trade that card at the end of the tournament for a Full Art Darkrai EX, and walked away from the pre-release with four EX’s in hand – Darkrai EX (traded the Golden Catcher for it), Entei EX (pulled in my two additional packs), Kyogre EX (traded an Empoleon for it I think, no one wanted poor Kyogre), and a Groudon EX (trading away a bunch of the trainers and Zoroarks for it). I will be attending two pre-releases this weekend, the first at GameNite in St. Louis on Saturday and then another one at Yeti Gaming on Sunday. Heading into these pre-releases, I feel pretty at ease, as I already have all of the big ticket cards from the set on pre-order: that is Keldeo EX and Landorus EX. I also went ahead and pre-ordered a playset of Cresselia EX, as I feel that is another really good card, and feared other players would figure this out fairly early as well. Although I have all of those EX’s out of the way already doesn’t mean there isn’t more that I would really love to pull from this set. I wouldn’t mind pulling another Keldeo EX and Landorus EX, as those cards are going to be very expensive and they would make for some very good trade bait. 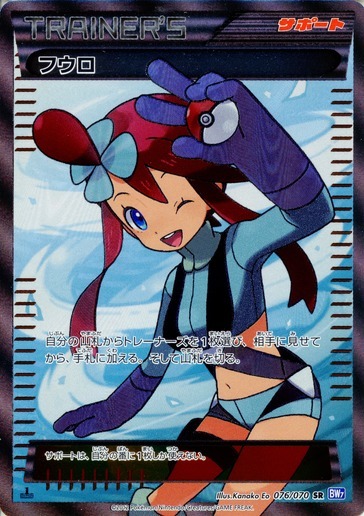 Perhaps my biggest want from the set is the Full Art Skyla. I’m not really big on blinging out my decks, and usually just like playing with the standard versions of cards, but the artwork on the full art for this card is very well done, and Skyla is probably my favorite supporter in the format at the current moment, so I would love to have a playset of these Full Arts for my decks. I’m a really big Skyla fan, the card is amazing and is going to make for better consistency in our decks, and Skyla as a character is great as well in both the games and the anime. I don’t really have any urge to get any of the other Full Art supporters from this set, but if they ever print a Full Art Professor Juniper, I would be down for going after a playset of that as well. The biggest competitive needs I have for this pre-release are the Ace Spec cards. The big one I need is of course Computer Search, which looks on pace to be a very expensive card. 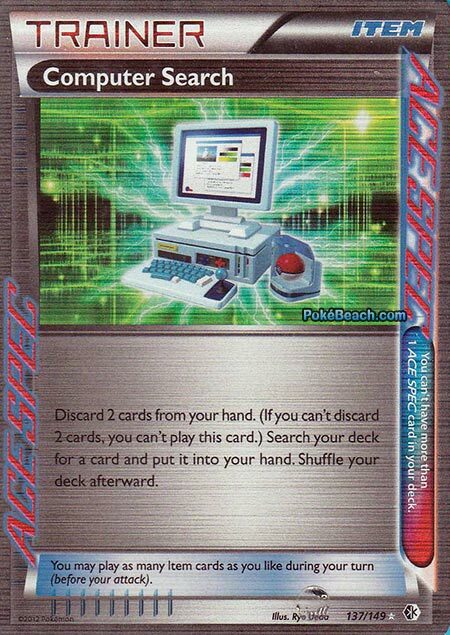 I’m still holding out some hope that they allow us to use our Base Set and Base 2 Computer Search’s in tournaments as a means of keeping down the price for this card, but as is, this card is amazing in decks playing Sableye, and still good in any deck. I would also really like to get my Gold Potion at one of these pre-releases, I think this card is very powerful and will be better than Computer Search in most decks not playing Sableye. The card is so good with Recycle, and would have been my preferred Ace Spec in big basic decks running the Ether engine (and if you haven’t heard already, Ether has been bumped back to our next set. Not really sure how I feel about this, but I think it’s probably for the best, in my testing with the engine, Landorus EX seemed broken to the point of turning the format into Landorus EX and Blastoise decks, and then decks to counter those, running Darkrai and Eelektrik completely out of the format, which I don’t think would necessarily have been a good thing). This set of course features everyone’s favorite Generation 1 starter Pokemon – Blastoise and Charizard. I would love to pick up some Blastoise through my packs at these events as I do think there is a high probability that I play Blastoise variants for a few City Championships. 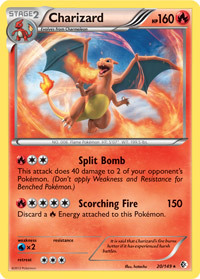 Charizard would also be great as its my favorite Pokemon, and I also think it’s a very underrated card. It might not be the most playable right away, but it will be very good once the Plasma stuff starts to take over the meta game during States. If I don’t pull a Charizard, it won’t be the most disappointing thing ever, I can probably buy a playset for around $10, but come on, pulling a Charizard from a pack is always exciting. Outside of that big stuff, some of the other somewhat playable Holo Rares like Dusknoir or Exploud would be great. I would also love to pick up all the pieces for my Cinccino deck at these pre-releases as well, which would be 3 Munna, 3 Audino, 4 Skyla, and 1 Aspertia City Gym. I know this set is getting a lot of hate on the internet as of late, but I think it’s a pretty solid set. There is a ton of really bad filler cards, but overall the cards at the top are pretty solid, so there are still plenty of cards I would really love to pull from the set. I’m looking forward to a good weekend of playing some Pokemon with some friends and getting my hands on some of the new cards from Boundaries Crossed! I will update you guys on Sunday night with how my pre-releases ended up going.